Bari attends at times the lectures, but due to the lack of baha’i youth in the community , there are no relations between the students and the baha’i community. 2 – University of Reggio Emilia (near Bologna) Giuseppe Robiati, as EBBF member, has been called to partecipate in lecturing a post-university Master about ethical managment of human resources. 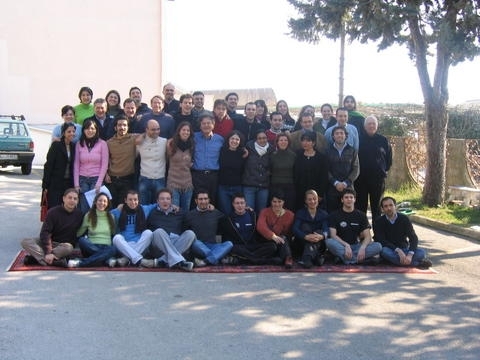 Also in this course, attended by between 12 to 18 graduate students, the topics addressed are similar to the Bari University, and they aim to give the students a world vision of development, a deep explanation of human resources as being essentially spiritual, and therefore a presentation of the teachings of Baha’u’llah and their influence on the spiritual growth of those people who will consequently work, behave and use ethical, spiritual principles in their work and company, thus introducing spirituality in business.The Figure of Baha’u’llah is introduced and presented openly, and due to the smaller number of students, more interaction has been positive and fruitful.This course in Reggio Emilia has been held for the past three years, and hopefully will become an annual project for the future years. In Italy, as well as in other parts of the world, there is an international economy students association called AIESEC, which aims to organise for the students of economy, trainings and experiences to lead them in gaining a wider world vision and in working towards its betterment and excellence. Catania had been informed and participated in a great number, therefore creating a good channel and new relations.This coming year 2006-2007 activities have been already organised and planned at the universities of Naples, Perugia and Milan, where good communities of baha’ì youth reside. We have already reached the 4th annual meeting which is held, by using the logo EBBF, at the Baha’ì Centre in Acuto. Giuseppe Robiati invites, in the month of February, through AIESEC, 60 students of 15 italian universities for a full immersion of 4 days on the topics of the World Order, spirituality in business, etc. The whole meeting is enriched by prayer, the arts, poetry, speeches, workshops held similar with the study circle method. In this meeting, Giuseppe Robiati calls on other EBBF members from abroad for some courses and talks, and on some baha’ì students from the Italian community in order to create relations. This full immersion, enriched by the presence of baha’ì students purposely invited, allows and leads to a deepening of the Faith as well as to new friendships between baha’ì youth and the students. 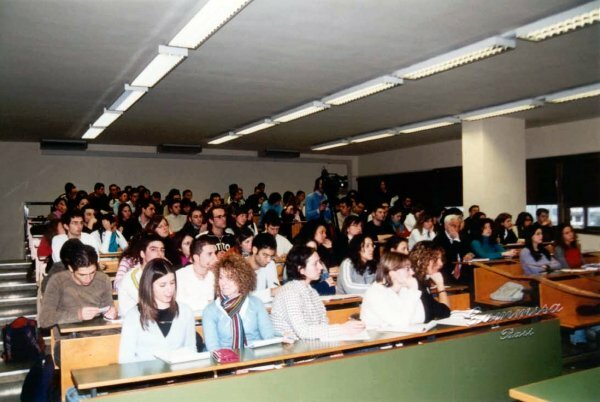 The meeting is considered the best Italian meeting at the university level. For the year 2007 this meeting has been planned for the third week of February. All these activities are being carried out also with the important help of Merhi Sefidvash Robiati and Daniel Truran (both baha’ìs), Enrico Giraudi and Lorenzo Solimene (both non baha’ì managers but aligned with the baha’ì vision due to their attendance in the Ruhi courses).